This is my 300th blog post! So much is written about the strained relationship between IT and other business departments such as Marketing or Sales. Both departments want to achieve the same goal of creating a service for the customer. Both departments want to be predictable in their service delivery. But they define predictability differently which is the basis for friction and a strained relationship. For an eCommerce team the boundaries between departments are often strained because of estimated work effort, estimated costs, volume of work produced, and the velocity of work produced. Unfortunately all of these take the focus of the relationship away from the true goal to produce working software that provides a valuable solution to the customer (one in which the company should make money). Here are a few techniques that I have found to be valuable when approaching relationships with other departments in the business. Remember to always turn the conversation back to the ultimate goal. Deliver smaller work units according to a regular cadence. Build confidence by showing incremental progress towards solution delivery. The big bang approach to software delivery keeps the internal customers in the dark about how the final solution is progressing and creates a longer period of time before the customer can begin to use any of the solution. I hear IT people say that it is tough to get business people involved in the process defining requirements. So I advise breaking the work into smaller units of work or a subset of the larger group of features. Show progress towards the goal and transform the discussion with the business owner to one of results rather than waiting. Business stakeholders are more open to conversations and supportive when they see progress along the way. IT won’t be able to solve all the incoming requests. Somewhere along the course of time the business units developed an expectation that anything they request will be completed and IT, or a smaller group like eCommerc, automatically assumes they must complete every request. But let’s face it, there are always more requests and ideas than the eCommerce team can implement. This is what leads to product roadmaps and backlogs. Many people view IT as a large cost center to the business. Technology capital and labor is expensive. So shouldn’t the business want make sure that the team is working on items that will provide a return? Let’s be real. Sales and Marketing are not able to solve all requests they get either, and many cases work with customers for work-arounds and alternative solutions. Get agreement to this concept from department heads so that expectations are clear. Then get the department heads to be involved in the process of what work has the best forecast to move everyone towards the goal of returning investment back to the business. Mutual involvement, risk taking, and reward sharing is key. When possible visit them in-person. Strong Relationships are built in-person. When I want to discuss the priorities, schedule, or work-in-progress of the team I try to pay the business contact a personal visit. Yes, that means getting up and walking away from desk. It means not trying to live my business life completely in email. My experience is that the spoken word helps to achieve cohesion and unity with the business contact. It creates more of a bond and a feeling that you are solving the puzzle together. Conflicts can be unlocked by finding your common goal. Conflicts and differences of opinion are inevitable. There are many ways to solve conflicts but to create a good cross collaborative approach we need to focus on the common goal. For eCommerce teams and business owners that is to produce working software that provides a return on the investment (make money!). 2. What need do I have that causes me to insist on that want? What need do they have that causes them to insist on their want? 3. What is the common objective? Produce working software that provides a solution to the customer and return to the business. Then challenge the assumptions in the middle and find ways invalidate the assumptions which will produce ways to break the conflict. From my example, does the customer expect that the full project will be delivered in one piece? Can the customer take delivery in multiple pieces? For the eCommerce team does the customer know fully what they want and can they articulate it upfront? 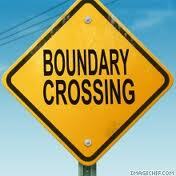 At some point in the process an assumption may be proved false which will provide a way to unlock the conflict. Time travel back 15 years. I know it’s not possible to test with every combination of browser version and operating system. The root of the request was that the quality assurance group was not setup to test with every browser version. I get that. Unlike the early days of the internet, there are more options than Internet Explorer and Netscape. Plus add years of build-up and internet browsers now have multiple versions in the market. But this problem isn’t unique to my colleague’s products. It’s part of doing business on the internet. Customers expect your internet site to work. Whether they are shopping, price comparing, or researching product information, they expect to find information and not think about their choice of browser. Most of my friends (non-technical) don’t think about Chrome, Firefox, Internet Explorer, Opera, Safari, etc. Most of them use the browser that was installed with their system (Internet Explorer usually) and don’t even know the version number installed on their system. Their expectation is that they can transact with information without thinking about the tool. I recommend to look at your internet analytics to see what the most common browsers are for your customer base. Pick the top two or three and make sure the QA group tests with those browsers. Make sure the developers are programming with industry standard techniques and then handle incidents on a case-by-case basis. This type of approach will minimize the number of issues and not alienate any of your customers that have chosen a different browser from what is officially tested. Make sure the technical support staff collect the browser type and version on incident calls. Issues may or may not be related to the browser. But this gives your organization a better chance of replicating issues and determining if the root cause is related to the browser. When you know about a browser incompatibility. 1. Notify the technical support staff so that they can inform and customers experiencing this issue. Is it a complete block in the order flow? Is there a suitable work-around for the customer? How common is the browser type and version the customer is using? A good example in 2011 is the continued use of Internet Explorer v6. The browser is now ten years old and does not support many of the programming features of the internet today. In a B2C environment it may be easier to walk the customer through an upgrade. In a B2B environment this may be more complicated depending on the number of installations and compatibility with other software. The big idea though is to have a policy that states it’s your intention to support all browser types and versions. Really, this is an unwritten policy that is expected by internet customers. You can test with the most common versions and then examine issues as they arise and treat them on a case-by-case basis. 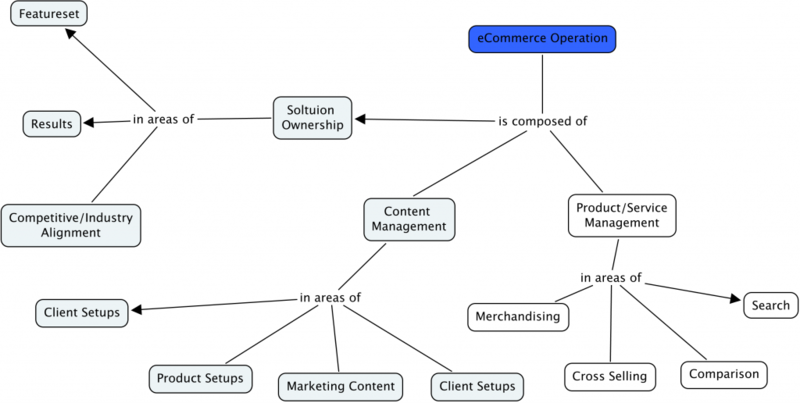 UPDATE 10/27/10 – I posted a mind map of my eCommerce Operation on mindmeister that replaces the original map contained in this post. This includes the latest updates to my organizational thoughts on an eCommerce team. In my last entry about eCommerce operation and structure I wrote about the functional area for content management. In many organizations, content management and data setup are one in the same. The responsibility for product management or product selling is a different group or individual. In this context ‘product’ is not the eCommerce software but the product or service being sold on the eCommerce site. It allows the product/service manager to expand their experience and knowledge to Internet related skills. I often hear product/service managers tell me that they would like to get more involved with Internet activities but they are not sure where to get started. They have performed the role of a traditional product/service manager which is channel independent. But they would like to understand more of the intricacies with online setup to give them personal growth. The same is true in reverse for those that have only been involved with data management activities. As a by-product of their working with online product/service setup these individuals often become subject matter experts on these product/services because they understand the business rules and attributes necessary to sell. Allowing them an opportunity to step into a management role allows the possibility to grow the individual in the direction of a business owner with experience in the marketing, finance, and supply chain management of a product/service. Assigning the role of product/service management and online management to the same person then has advantages for both the individual and the organization. I realize that eCommerce is only a single channel among many options. However, depending on the business, the Internet may be the only channel. So this is an option that organizational designers should consider based on their situation. Merchandising – Determining how to use the characteristics and features to promote and sell. Cross Selling – Determine which, if any, additional products/services are a complementary or related product to the primary. These are then offered and/or recommended during the sales process to the customer. Comparison – Deciding the main characteristics and features used as part of the decision making process by the customer. This provide a comparison of similar products so that customers can look at the differences between features to make an educated comparison. Search – Decide the categories in which to place a product so as to enable the customer to find the product/service through navigation of the site or using the internal search page. Combining these responsibilities with the previous ones discussed, the concept map of our eCommerce operation looks like this. In future posts, I’ll explore other functional areas necessary for the eCommerce team. What are your thoughts about combining the roles of content and product manager in an eCommerce operation?